Britvic needed to find a simple way for their UK leisure area managers to send location based information and in return receive crucial information to increase connectivity within the field. Using Excel spreadsheets to store and look up information was proving to be too laborious and restrictive as the information couldn’t be accessed while on the road. 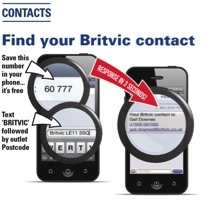 Seeking an alternative, a quick online search lead Britvic to Textlocal and our post code look up tool. Britvic are now looking at other ways Textlocal products can enhance the customer service experience. We are so happy to have found Textlocal, the service has been great and is such a time saver for us. Britvic – service is such a time saver for us.